Envirokidz Cereal - Kids Cereal - Case of 12 - 10 oz. 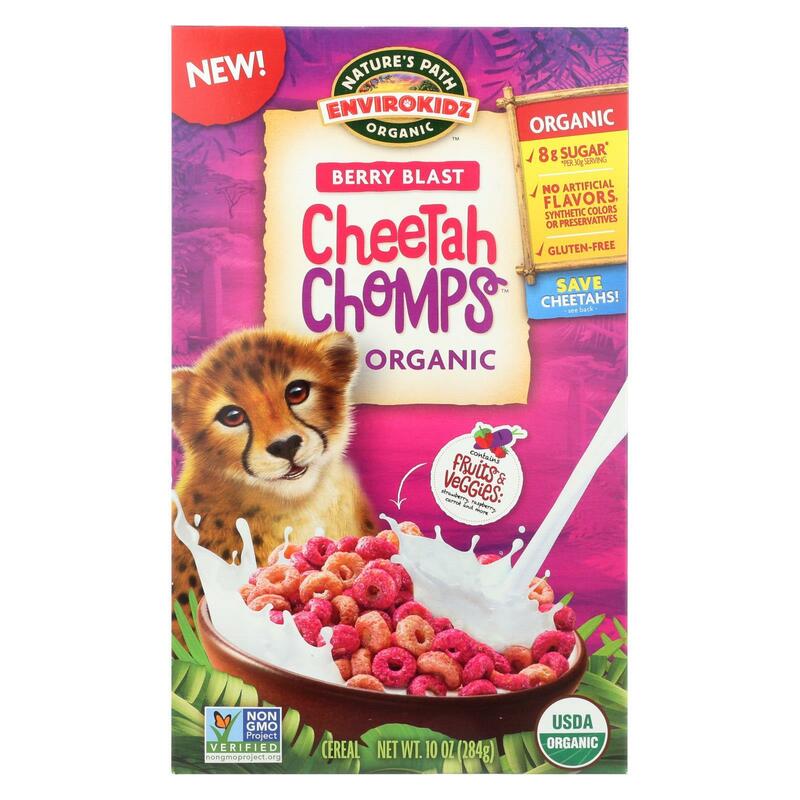 ENVIROKIDZ BERRY BLAST ORGANIC CHEETAH CHOMPS CEREAL IS MADE WITH CERTIFIED ORGANIC AND NON-GMO FRUITS AND VEGGIES FOR A SCRUMPTIOUS KIDS TREAT THAT IS GOOD FOR THE ENVIRONMENT TOO. WE INCLUDE RASPBERRY, STRAWBERRY, CARROT AND MORE IN OUR HEALTHY BREAKFAST CEREAL, WHICH IS ALSO RICH IN CALCIUM, IRON, AND VITAMINS. OUR CEREAL IS CRAFTED IN CERTIFIED ZERO WASTE FACILITIES, AND WE DONATE 1% FROM THE SALE OF OUR PRODUCT TO EDUCATIONAL PROJECTS DEDICATED TO ENDANGERED SPECIES LIKE CHEETAHS. EACH PACKAGE CONTAINS 10 OZ. 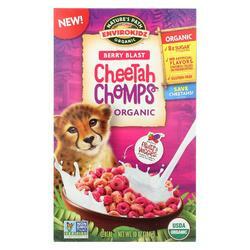 OF CHEETAH CHOMPS CEREAL.